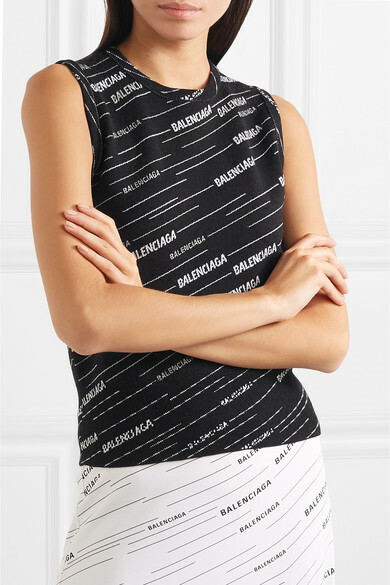 Balenciaga's tank is knitted from soft wool-blend woven with the brand's moniker in white - the logo lettering is separated by dashed lines to ensure it really pops against the black background. 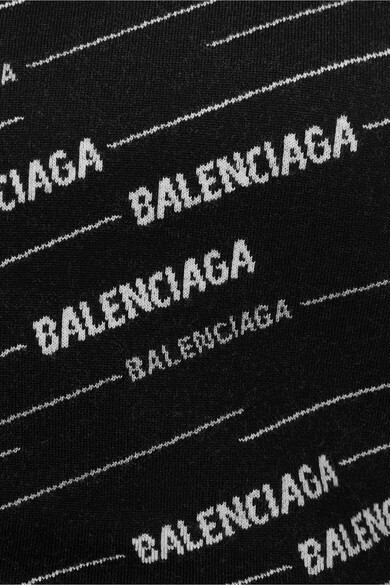 Layer yours over a shirt or turtleneck when the weather is a little cool. 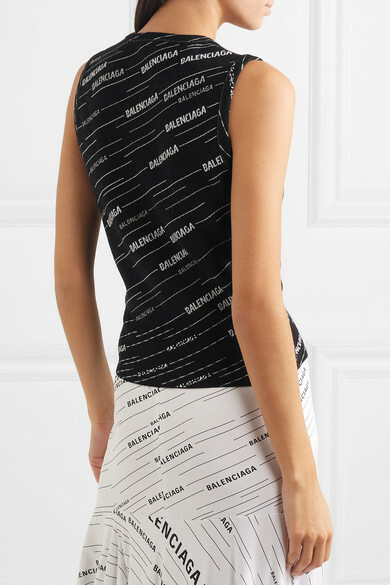 Shown here with: Balenciaga Skirt, Balenciaga Shoulder bag, Balenciaga Ankle boots.